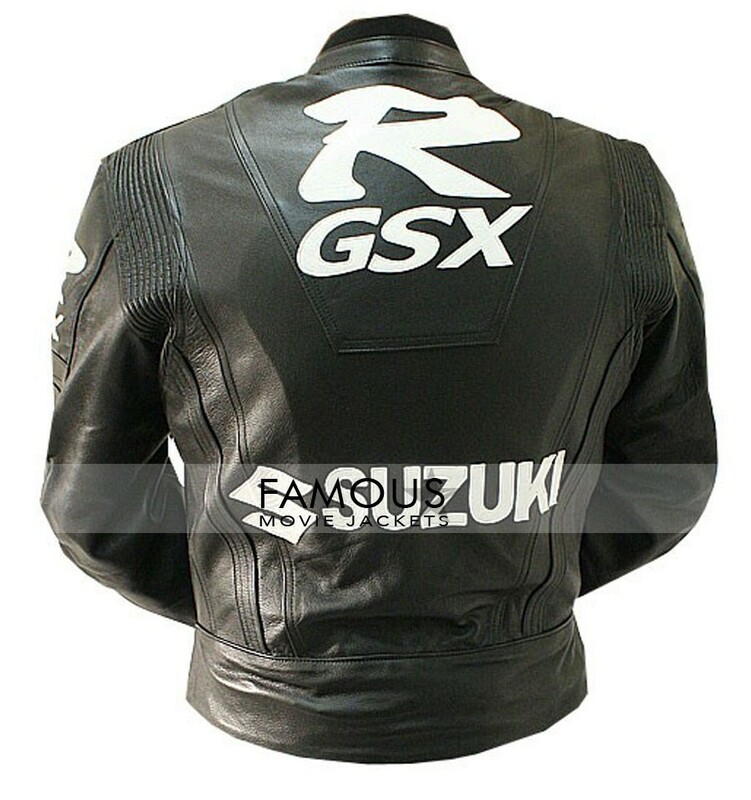 Suzuki Haya Busa can be called the world fastest bike.But the Suzuki GSX-R can be also called the princess of bikers world in now days.The best thing about it is it peak. Every thing has an inspiration. 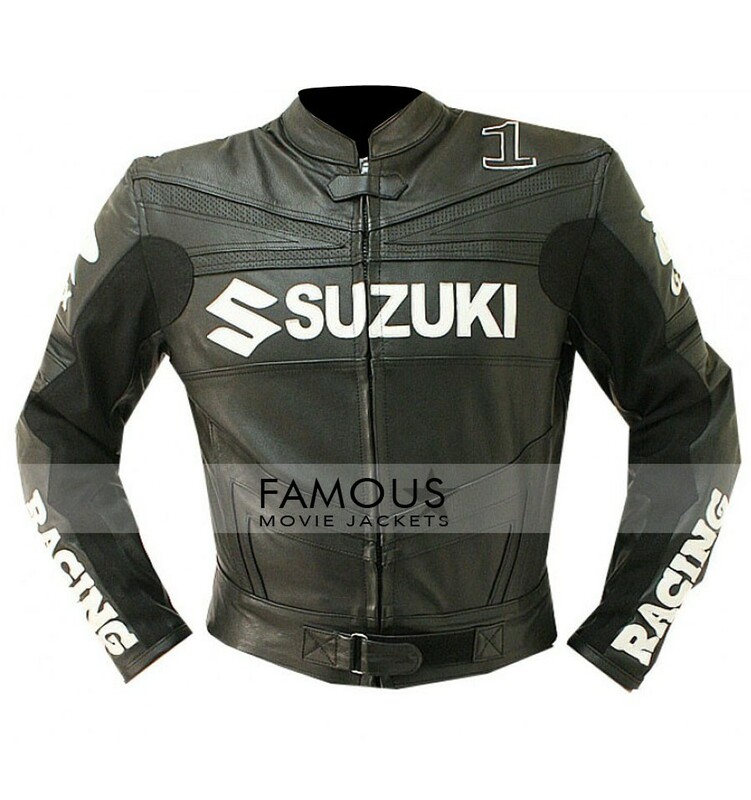 If we see a celebrity we like to wear like them.If we see a cartoon or movie of batman,Spider man we like to wear like them and it is just like inspiring others, Actually the thing is this world is just running on inspiration of others and you can not even deny this statement because true it is.The Suzuki GSX-R Black Motorcycle Racing Jacket is also a type of inspiration which from which we were inspired to make this black biker suzuki jacket of dynamic shinning look and best attention seeking power of the world here.The jacket is round neck zipped closure type with YKk zipper in front for closure and Suzuki logo with written on it.Get it now before its late.!! 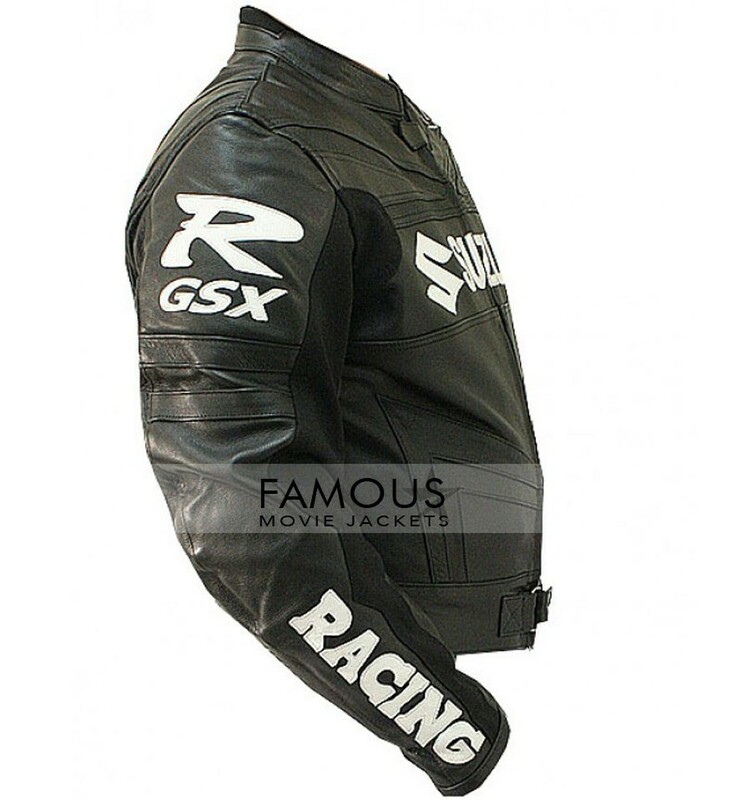 This Suzuki GSX-R Black Leather Jacket is touching the peak of decent clothing.The funky looks in today’s jacket are just too irritating .This is best for sure.